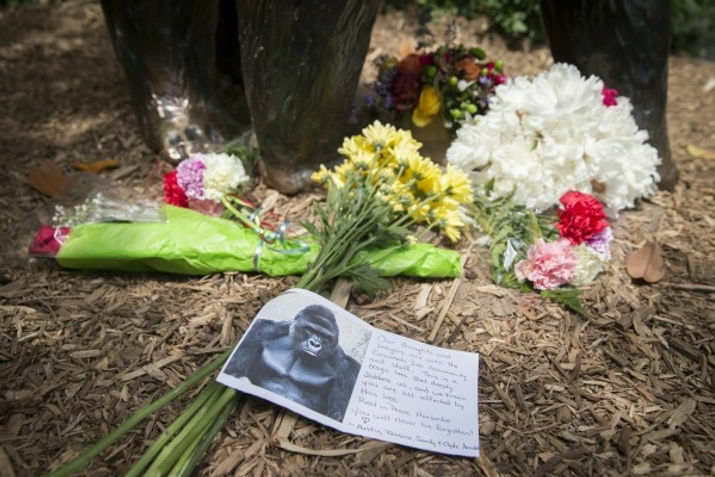 This past weekend, a four-year-old boy decided he wanted to face a gorilla. Officials claim the boy “slipped” into the enclosure, but that was most definitely not the case. Animal enclosures, especially those of endangered animals, are not built to be easily accessible to the public. There are levels the boy had to go through in order to get in; so to say that he “slipped” in implies that he didn’t want to be that close to the gorilla in the first place. Like he didn’t crawl under railings. Or go through wires. Or go over a moat wall to get a better view of Harambe (the gorilla). Sure, the boy is still a child and therefore can’t really take responsibility over his actions. And yeah, the parents were super irresponsible and neglected to properly supervise their kid. But what bothers me the most is that nobody is talking about what consequences the boy should face. I’m not saying that they should lock him up or anything, but there are ways to make sure that something like this never happens again. And that’s through education about animal conservation. Zoos have programs for children, specifically so nothing like this happens because, yes, children are naturally egocentric and don’t necessarily foresee consequences before they do something. The most effective solution that could come out of this would be a mandatory education sentence for the boy. Not as a punishment, but as a way for him to understand why what happened, happened. So that he can learn to respect boundaries and understand that just because you are granted access to the zoo and are able to view the animals, it doesn’t mean that you should treat them as pets who you can dauntlessly approach without there being any dangerous consequences. In the footage of the boy’s encounter with Harambe, you can hear the woman say, “Mommy is right here…” Which is the most American thing to say when, in fact, Mommy is most definitely not there. They’re in captivity because they are endangered. It would be lovely to not have them be stared at by people every time they’re outside, but that’s not the way the system works. There isn’t an endless supply of money that allows privatization of zoos. It would be really awesome to not need to have an influx of cash coming in to support your research/cause, but that’s so unrealistic. Don’t be mad at the zoos; be mad at the reason why zoos were ever created. Deforestation and demolition of environments have directly led to animal endangerment. (Proper) zoos exist to try to prevent that kind of extinction. Facilities like these zoos are keeping these species ALIVE. You can’t stop poachers from killing them. You can’t stop people from turning the wilderness into a shopping mall. And that’s why these animals are endangered to begin with. It has absolutely nothing to do with transit. So stop trying to derail the argument just to appease your guilt. And before you go visit that new mall/resort/new attraction in Latin America (or anywhere else, really), think about the environment it replaced and all the animals it killed off just to get there. Don’t protest the zoos, all they’re doing is providing a sanctuary for animals that don’t have a safe environment anymore. Instead, protest the demolitions. The deforestations. The clearings. Education begins at home. Teach yourselves and your children about the importance of animal conservation, maybe take a few classes and learn to give all beings the respect they deserve. Then, maybe things like this would stop happening. Christina Acuna Castillo is a writer, digital maker, diversity enthusiast, and animal conservationist. Christina interns at the Thomas Merton Center, working closely (with Marni) as NewPeople’s Print Editor.